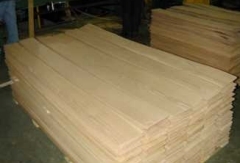 At one time North American Wood Products' business was one hundred percent hardwood lumber and dimension products. Veneers were added to our product line in response to our customers changing needs. 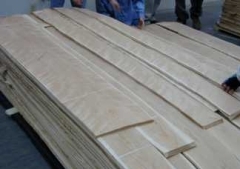 Today, hardwood and softwood veneers are one of the fastest growing segments of our business. 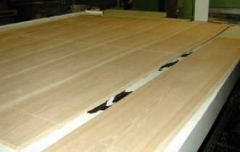 We have concentrated on supplying veneers for specialty applications such as engineered flooring and musical instruments. We also supply furniture and millwork specifications as well. 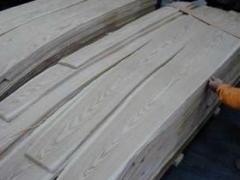 Following is a partial listing of veneer products we are now shipping. For further information or a quotation, fax or e-mail us.